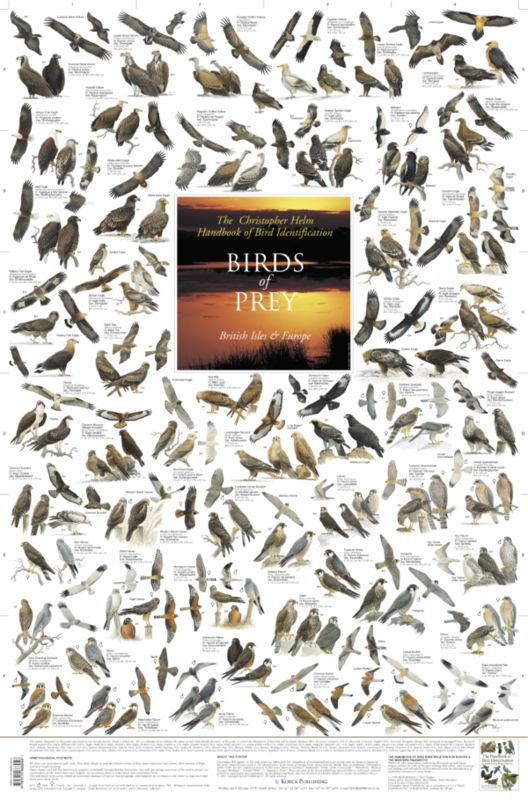 This magnificent wall poster features 53 species of birds of prey from this region. Displayed on the poster for each species are flight patterns, male and female plumage differences, and juveniles. Among the bird families represented are: buzzard, eagle, falcon, goshawk, harrier, kestrel, kite, sparrowhawk & vulture.